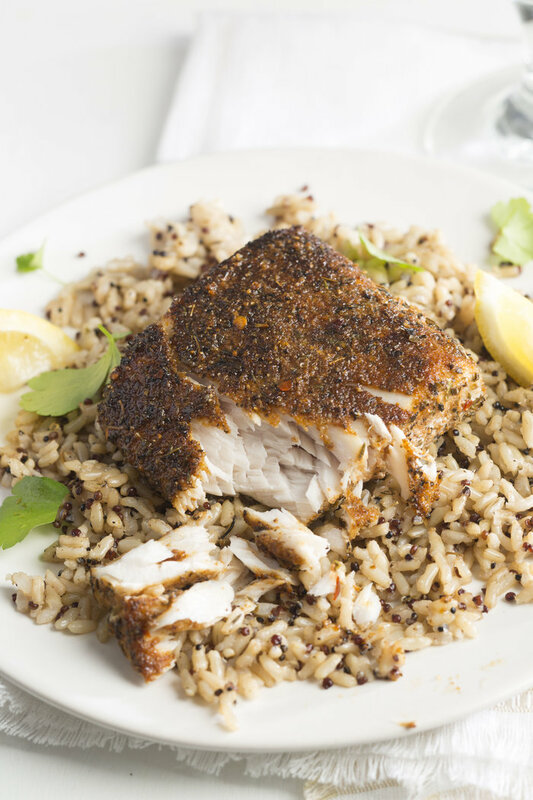 This easy to make blackened Mahi Mahi is delicious, loaded with health benefits, and impressive enough to serve dinner guests! 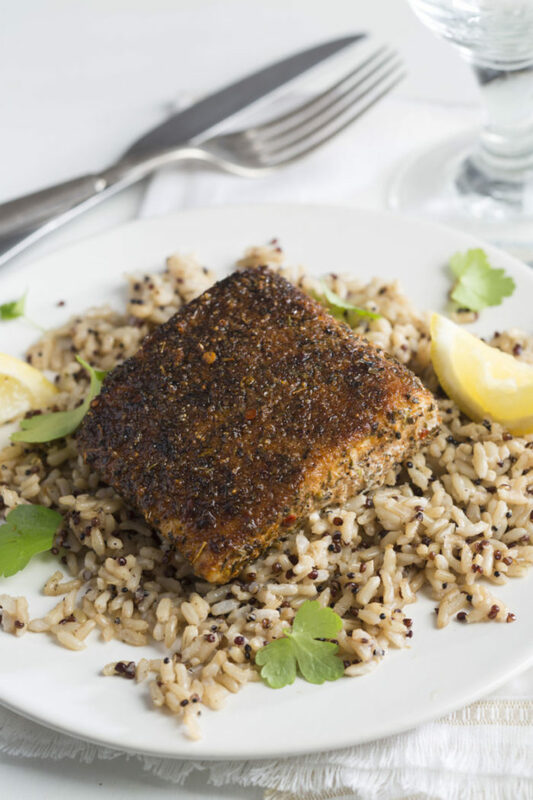 This delicious blackened Mahi Mahi has become one of our favorite weeknight meals. My kids absolutely love it, and it makes a great meal when we are all trying to eat a healthier diet (as we are right now). Mahi Mahi is a mild, flavorful fish with firm texture that typically comes in steaks or filets. It is low in calories, high in protein, and loaded with health benefits. What is the best Mahi Mahi for blackening? For convenience, I often use wild caught Kirkland frozen Mahi Mahi filets (from Costco). Each filet is individually wrapped, so I can thaw and cook just what we need at the last minute. The cold water quick thaw (per instructions on package) makes it possible to make this dish start to finish in roughly half an hour. Fresh filets are also good but can only be stored in the fridge for a day or two. What is the best blackened seasoning for Mahi Mahi? My favorite blackened seasoning is an easy homemade recipe (below). It makes enough to store in a jar and use as needed for chicken or fish. One of my store bought faves is The Fresh Market blackened spice rub. It tastes great on chicken and fish and is an easy grab and go seasoning if you don’t want to make your own. My go-to favorite blackened seasoning for fish and chicken. Mix all spices together until blended. Store in a jar or container to use as needed. What is the best skillet to use for blackening chicken or fish? If you want the best equipment advice on anything cooking related, look no further than Cook’s Illustrated. They do exhaustive recipe and taste tests as well as equipment reviews. They have declared carbon steel not only the best skillet for blackening, but also the best for non-stick (even for the ever sticky eggs:-). 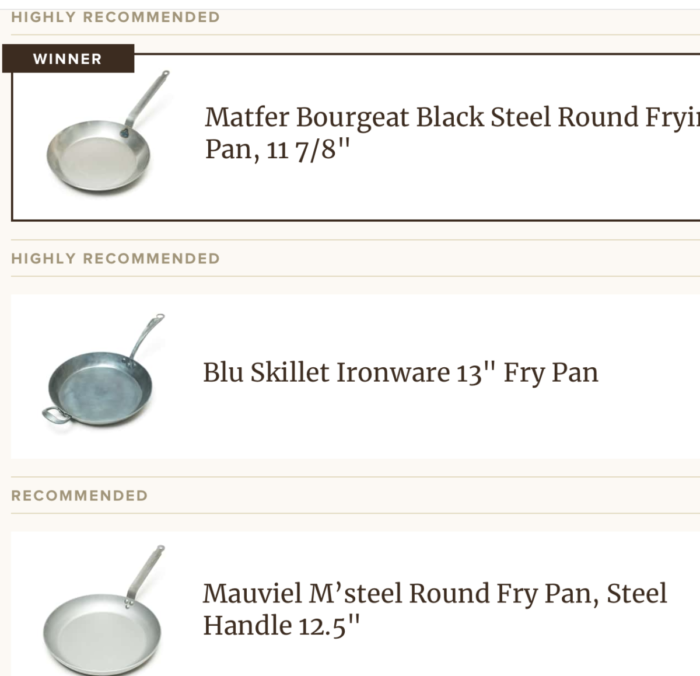 Click here to purchase the winner (my personal skillet) or link to any of the others below. 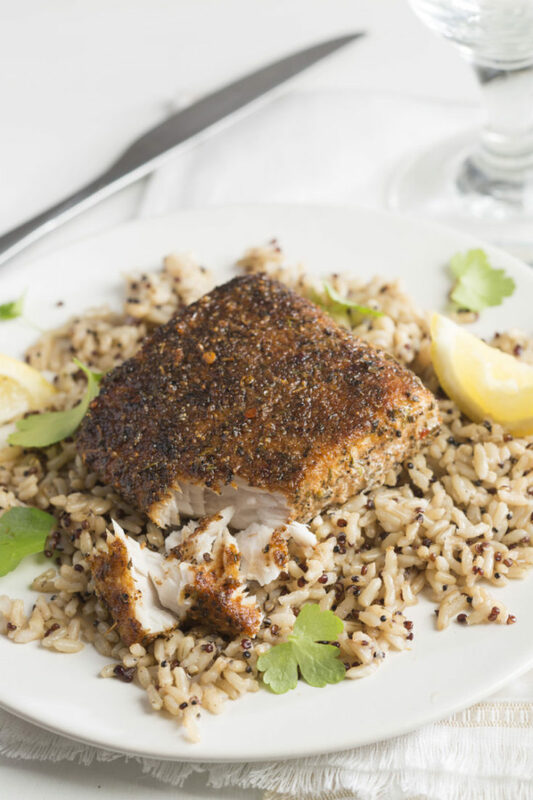 Serving suggestions: For guests, I often serve the Mahi filets over wild rice (as pictured) with vegetables or salad on the side. When I cook these during the week for my family, I serve rice on the side (for my teenager), and Zane and I eat roasted vegetables and/or a salad on the side. We try to follow a low carb lifestyle, which I discuss in this post on my Faster Way to Fat Loss experiment. Everyone who has tried this loves it, and it could not be easier to make. I highly recommend it as a healthy, delicious and company worthy meal. If you make it, please leave comments and let me know how it turns out. As always, thanks so much for stopping by. Be blessed, and stay savvy!!! Fish as lovely and delicious as you'd get in fine restaurant but easy to make in your own kitchen. Heat extra virgin olive oil (EVOO) in medium skillet on medium high. Brush Mahi Mahi filets with EVOO. Completely coat both sides with blackened seasoning. When a drop of water in skillet makes oil sizzle, the skillet is ready. Place filets in skillet, leaving space between filets for easy turning. Cook 4-5 minutes until browned, crisp coating forms on first side. Gently turn filets over; cooking until brown & crisp on other side (4-5 minutes). Once both sides are browned, turn filets as necessary to completely cook. If not serving immediately, turn heat off and cover skillet to keep filets warm. Sprinkle filets with fresh lemon juice just before removing from skillet. Serve with wild rice or roasted vegetables. Hi Ray. Aren’t the filets just lovely? And I love having frozen on hand. I can never plan when I want to cook fish, and these cold thaw perfectly in less than an hour. Thanks for your comment and for reading the blog!!! 2nd time I used this recipe and I bought the MahiMahi at Costco as instructed. They are beautiful ! Hi Robert! Thanks for letting me know you love the recipe! And Florida~yes~such FRESH and yummy seafood! And I had NO idea that Mahi was the same as dolphin. Thanks for letting us know!! Have a great one!!! It turned out great ! We had it with butternut and acorn squash and rice. Just one flip was enough to cook it just rite not dried out. Keep up the good work. Iâ€™m in Florida so got fresh Mahi or dolphin we call it here. So glad you liked it, Lisa!!! Thanks so much for the feedback!! !